SteepGraph - SteepGraph Systems Pvt. Ltd. » SteepGraph Systems Pvt. Ltd.
We have worked for customers around the globe including US, Canada, Germany, France, Switzerland, Belgium, Australia, Taiwan and India. 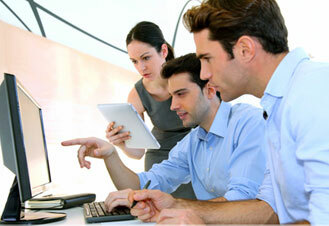 This enables us to adopt best industry practices and effectively work in onsite-offshore model. Our exposure to different industries is notable and includes Aerospace; Defense, Automobile, Hi-Tech, Industrial Manufacturing, Consumer Product Goods, Pharmaceutical, Cosmetics and Construction. Our vast experience of PLM enables us to provide services on multiple PLMs, notably ENOVIA V6 and ARAS Innovator. In PLM space, our service offerings include Business Consulting, Implementation, Upgrades, Migrations, Trainings, Documentation, CAD/NON CAD Integrations and Maintenance and Support. We have best in the class functional and implementation team that enables customers shorten the implementation cycle and get Maximum PLM value in time and budget. We are proud ARAS Partner and support our customers to realize PLM benefits effectively. Our Outsourced Product Development unit enables the customers to build high quality products with best practices and strictly following customer development processes. Our team works as extension of Client team and adds value to the product through our technology expertise, focus on quality and following best agile development practices. Our technology expertise includes Java, J2EE, Microsoft platform, Mobile technology, Cloud and Web Technology. SteepGraph Systems has vast experience of large scale PLM implementations world wide. We are the team of highly qualified and experienced professionals with domain as well as technology skills. We have strong focus on customer needs and the quality. SteepGraph’s management is customer centric and ensures that every project is finished with high quality, on time and within budget.Our product development experience is rich and we truly understand the focus needed on software quality, agility and collaboration amongst the different teams. Strong technology focus and the adoption of agile development methodology enables us to provide high quality deliverable for our customers. Head Quarter in Pune, India; SteepGraph Systems delivered quality work globally including countries like USA, Canada, Germany, France, Belgium, Switzerland, South Korea, Australia, Italy, UAE, Brazil and Taiwan with Onsite and Offshore support. Our expertise offerings have made us an ideal choice as technology and Services partner for our world-wide customers.